The things the Chicks have to do for our jobs. Yes, most of the time we’re writing grants and giving away stuff, but occasionally we are called upon to do completely wacky “work”. Like last week just before Saturday’s Swine Ball, which benefited CRC. 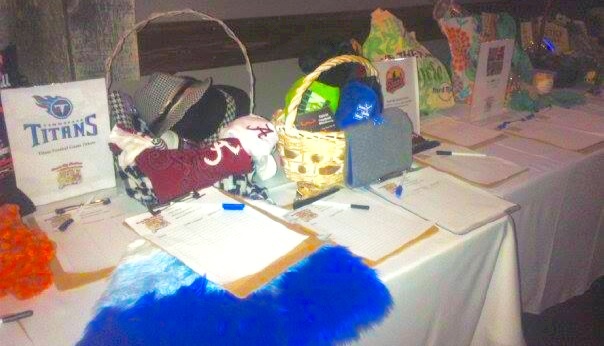 Betsy was completely engrossed in making Silent Auction baskets. The conference room was filled with books, jewelry, purses, scarves, knick-knacks, doo-dads and thingamajigs that all had to be mixed, matched and arranged in baskets. The girl was practically giddy with excitement. She loves this kind of stuff. 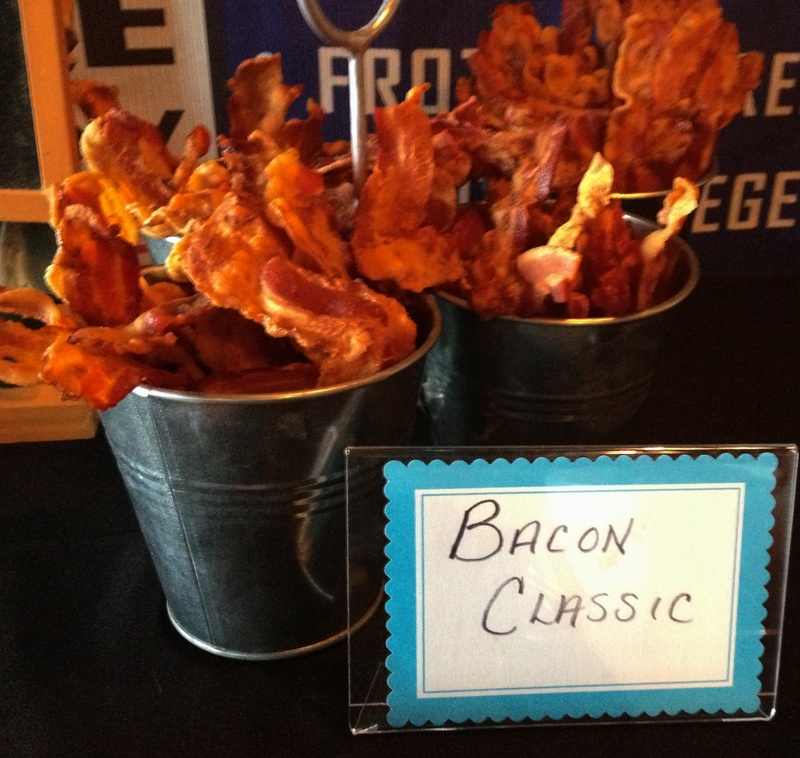 I, on the other hand, was in charge of the Bacon Bar. How can you have a Swine Ball without a Bacon Bar? Sadly for me, I grossly underestimated how much time it would take to cook 30 pounds of bacon. As it turns out, it takes four days. Not 24-7, of course. But a good six hours every day for four days. That also counts the time it took to make the peanut butter, chocolate chip and bacon cookies and the pimento cheese bacon crisps. Let’s just say I was concerned about Acute Oven Failure as the poor thing didn’t get turned off much. And, yes, the best way to make bacon is to cook it in the oven on a rimmed baking sheet, 400 degrees for 20-25 minutes depending on the thickness of the bacon. Then it had to cool on a cooling rack in the microwave because if I left it on the counter, the cats would have…well, we won’t go there. 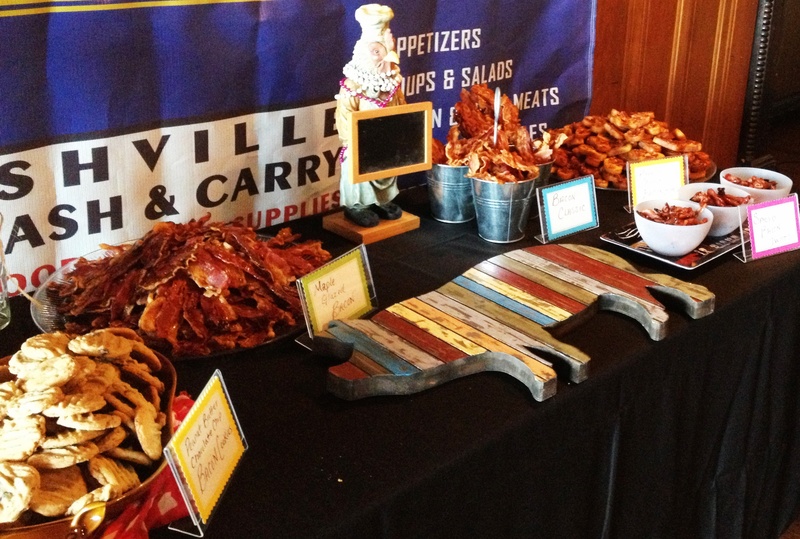 It was a huge success, the Bacon Bar. The pimento cheese bacon crisps were the favorite. And thank you, Betsy, for making your grandmother’s pimento cheese. It had the perfect processed-cheese consistency that melted beautifully in the broiler. I don’t know if we’ll add “basket making” and “bacon cooking” to our job descriptions yet. But we just might.